This South African online casino was launched in 2005 and it is operated by Netplay Malta limited. The steps are not different from what is obtainable in most online casino companies. You have to create an account. Select “Join Now” and a registration form appears. Fill out the form with the required details to set up a secure membership. Some of the details you’re expected to enter include your real name, telephone number, address, email address, password, username, and your date of birth (players are required to be above 18 years). Your unique on-screen name will be announced whenever you win a live casino. After your registration is successful, you can login and start playing. You need to make your first deposit to claim your welcome bonus package. There are several games to enjoy from roulette, blackjack, slots, and live casino. Players will also enjoy various bonuses and promotions after their registration on SuperCasino. Existing players are also not left out. Make your first deposit via a secure payment method and your account will be credited with 100 percent of the amount deposited. The minimum deposit is £10 and your account will be deposited with £200. Players are required to meet the wagering conditions before they can make a withdrawal. However, if you choose to withdraw your winnings before fulfilling the wagering conditions, your bonus will be forfeited. Also, you have to fulfill the wagering conditions within 30 days after your first deposit. Deposits made via Paysafecard, Neteller and Skrill will not receive a welcome bonus package. Existing players receive free spins and they must be used within 3 days or it will be forfeited. 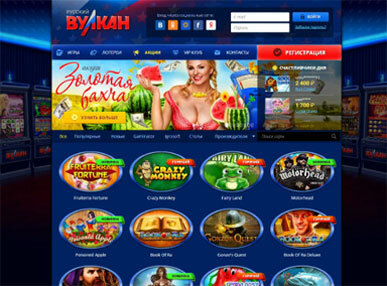 Players have to also consistently visit the website to enjoy more free spins. If you want to claim your welcome bonus package don’t use Paysafecard, Neteller, and Skrill. Use any other payment method and your account will be credited instantly with your welcome package. The more you play, the more bonus you get. Some games have more bonus than others. These games can be played on your desktop browser. It also works perfectly on Android devices, tablet, and smartphone. Players can also download the app. It’s easy to download and runs without interrupting your system. SuperCasino has among other things, a professional and friendly customer support agents. They are available 24/7. This includes holidays and weekends. You either contact them via an email or through a telephone number. They are always ready to listen to your questions. Players are assured of a response within 24 hours. You can also check out the Help page on their website for more information. Stake responsibly. Don’t place bets that you can’t afford to lose. Remember that it’s more about the experience than the cash.